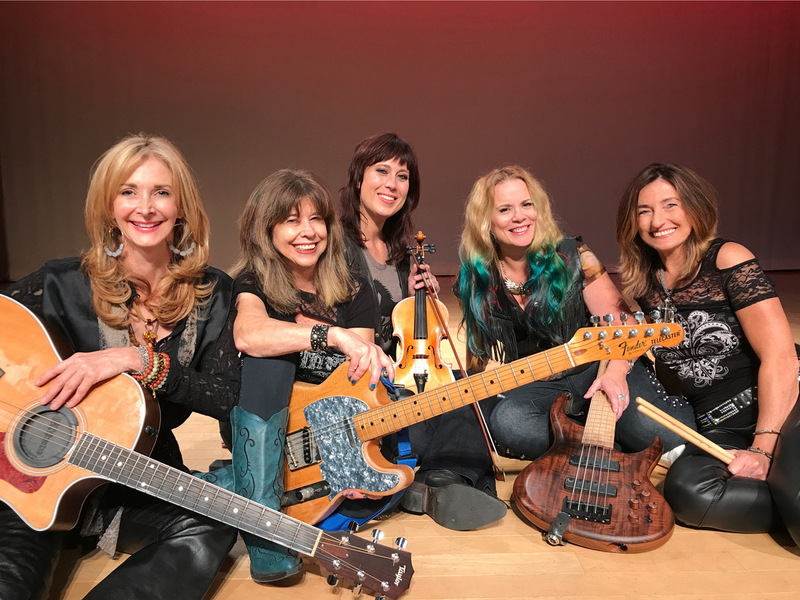 Guitarist Suzanna Spring of the Mustangs of the West reflects on her life as a songwriter and the story behind their new single “T-Shirt from California.” Come hear the Mustangs play the song THIS FRIDAY, October 26 at the Bankhead. Read her story and then get tickets to hear it live! I wrote the song “T-Shirt From California” as a valentine to a place I missed when I was living in another state. I wasn’t born in California, but my parents were always California dreaming and we moved here the year I turned sixteen. I still remember the shock of the big sky, the far horizon, and the freedom. No one asked what church I went to, and it felt like everyone out here was just beginning something. I used to drive in the evenings up to a reservoir, because the road had twists and turns, and with the windows down I could really feel the way the air changes from desert-hot to cool. I became a Californian. I fell in love with the mountains and the desert. I went free-diving for abalone up the coast; hiked in Yosemite, in Joshua Tree, drove down Highway 1, to the teal-color ocean that is Big Sur. I moved to southern California after college, and I auditioned for a band called The Mustangs, because my mom had taught my sister and me to sing and how to harmonize, and I wrote poems and songs and played guitar. I always had melodies in my head, because I’d kept a radio next to my bed since age six, soaking in the music. This band–The Mustangs–all of us women had similar stories in a way, and we had given up a lot to begin something new. We played gigs around southern California, frequently at The Palomino for Ronnie Mack’s Barn Dance. We were new writers, and we wrote a lot of love, and love-gone-wrong songs. We had some ballads, too, and a cool version of a Stones song. I always pictured that when The Mustangs got a record deal, I’d drive up PCH and run out on the beach screaming. The band dissolved when one person left the band, another moved, and I went to Nashville to write songs. Nashville was different than California. The checkers at the grocery stores would ask, “How can I hep you?” and one time I overheard two grocery baggers having a discussion about which was the best religion: Methodist or Baptist. Any night of the week in Nashville you could hear great music, great songs–and just like all the waiters in L.A. are actors, a lot of the waiters in Nashville had song ideas they sometimes wrote on napkins, and if you talked to a waiter long enough, they would tell you a song idea they had, and ask you what you thought. I wrote for Bluewater Music, a publishing company known for signing artist/writers. Unlike some publishers who would put up a blackboard telling their writers they needed an uptempo positive song for a particular country artist, Bluewater mostly let us write what we wanted to write. Of course the songs didn’t always get cut, because they weren’t about wise grandparents or falling in love at age four and still being crazy about each other at fifty, but If a Bluewater song did hit, it usually hit big. They were known for good and quirky writers and although I didn’t like it that they didn’t pay much, I did like the freedom. I was missing California one morning, and just sitting on the small sofa in my living room, strumming guitar, and the chorus to “T-Shirt From California” came into my head. I knew it was good because it stayed with me; I don’t think I even wrote it in the hook book. I took the chorus to a writing appointment with Wes Hightower, a writer and session singer, and we wrote a song about how it feels when someone leaves for California to start something new– and how it feels to be left. The things I loved about California–the ocean, driving up Highway 1 or down Sunset Boulevard, hiking in Topanga Canyon –all went into that song. I always thought “T-Shirt” would get cut by an artist in Nashville, but now I realize it probably belongs to California. I sent it to Sherry Rayn Barnett, with some other songs, since we’d stayed friends after The Mustangs. And after I moved back to California, Sherry said she had an idea about The Mustangs, and had been talking to Holly Montgomery about us playing together again, and that we should record this song. Holly had played with a drummer named Suzanne Morissette Cruz and Sherry had met Aubrey Richmond, and Sherry had found a place to record. George Landress engineered. From the first run-through, it felt right. And all the things I love about California music, the guitar jangle and the Beach Boys harmonies, it’s all there. Sherry got the song to Kirk Pasich at Blue Élan, and he got it. And so the song came back to California, and became something new, as did The Mustangs Of The West: Suzanne, Aubrey, Holly, Sherry and me. We got a record deal, and “T-Shirt From California” is our first single. So don’t stop California dreaming–It’s different out here.